Mother's Day 2014: History and Origin; How Did the Tradition of Honoring Mothers Evolve? Mother's Day 2014: What is the history behind this day? Here is an account of its origin and how the tradition evolved. With the Mother's day only days away, it's only natural to wonder how this great tradition of honoring mother ever evolved in this world. The origin of the famous holiday goes back to the era of ancient Greek and Romans, although roots of Mother's Day can also be traced in the UK, where a celebration called 'Mothering Sunday' was held much before the day in honor of mothers were celebrated elsewhere in the world including the US. However, the celebration of the Mother's day as we see it today is a recent phenomenon, thanks to two great woman named Julia Ward Howe and Anna Jervis, who made this day come into existence. The earliest history of the Mother's day celebration can be traced to the Greek's celebration of a day in honor of the maternal goddesses. Rhea, wife of Cronus and the mother of many deities of Greek mythology was honored. A celebration of ancient Romans that dates back to some 250 years before Christ was born, is also thought to be a possible origin of the present day Mother's day. They celebrated a spring festival called 'Hilaria' that was dedicated to Cybele, a mother goddess. However, the celebrations that usually lasted for three days with parades, games and masquerades; were thought to be notorious and the followers of Cybele were ultimately banished from Rome. The fourth Sunday of lent was also celebrated by early Christians in honor of the Virgin Mary, Christ's mother. 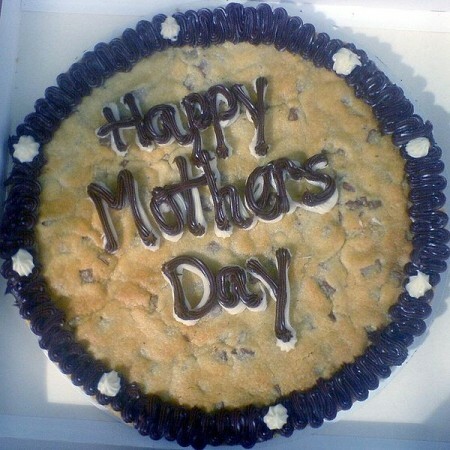 But in the UK, the celebration was expanded to include all mothers and was called Mothering Sunday. More recent history of the Mother's Day dates back to the 1600s in England when Mothering Sunday was celebrated on the fourth day of lent which included service in church to honor Virgin Mary. Children bought sweets and flowers in order to express love towards their own mothers. Even those who worked away from their families were encouraged to visit their mothers and honor them. By the 19th century, the custom of celebrating Mothering Sunday almost completely died out although there are certain accounts of some celebrations after World War II. Julia Ward Howe, who as an activist, writer and poet was the first to suggest the idea of an official celebration of the Mother's Day. In her famous Mothers Day Proclamation, written in Boston in 1870 she wrote a passionate appeal to women and urged them to rise against war. Suggesting a day of honour for Mothers on June, she also initiated a Mothers' Peace Day observance on the second Sunday in June. Her idea, backed by her relentless campaigns and calls for the official day later spread and replaced Mothers' Peace Day. Anna Jarvis, who is often referred to as the 'Mother of Mothers Day' is considered to be the founder of the celebration in the US. The activist was inspired by her own mother Anna Marie Reeves Jarvis, who wanted to see the existence of Mother's Day. The desire to fulfill her mother's wishes, backed by the growing negligent attitude of Americans towards their mothers inspired Jarvis to work hard in instituting the official day for mothers, the Mothers Day Celebration website notes. After much lobbying, campaigns and awareness programs, her hard work paid off. By 1911, almost all the states in the United States celebrated Mother's day. On 8 May 1914, President Woodrow Wilson signed a Joint Resolution designating the second Sunday in May as Mother's Day. People all around the world take the day as an opportunity to pay tribute to their mothers and thank them for all their love and support. Mother's Day is celebrated today in several countries including the US, UK, India, Denmark, Finland, Italy, Turkey, Australia, Mexico, and Canada among many others.